New Products for Spring from The Learning Journey! Fun and learning go hand in hand with The Learning Journey! The Learning Journey designs and develops award winning, high quality, educational toys and games that teach children basic learning through fun and activities. This year The Learning Journey is proud to announce new additions to their product lines that promote Early Childhood and STEM learning. These products will engage children’s minds and they won’t even realize that they are learning! “I’ve always noticed that the best way to understand something is to explain it and teach it to someone else. This is what learning is all about.” Learn something, share something! The new Code & Learn Lady Bug will introduce kids to basic programming and coding and they won’t even know it! The Code & Learn Lady Bug has two modes to play. In the first mode, children use the coding card deck and color grid map to challenge your child to find the right path to a destination by entering directional instructions into the remote control. Hit go and they will know they have gone to the right space when the antennae of the ladybug lights up with the color of the mat square they land on. If it matches the card, they are correct!The second mode allows your child to “drive” the remote-control playmate around for free-wheeling fun. This fun and educational coding toy teaches sequencing, directions, problem solving and logic and aligns with the Science, Technology, Engineering and Math standards (STEM). The Code & Learn line also includes the Code & Learn Space Ship. For ages 5+ and available in April 2018. Kids love to construct, and the Techno Gears Dizzy Droid is the perfect way to encourage them to build. With its 80+ colorful construction pieces, power motor and more, this kit includes everything your child needs to build his own droid with motorized gears. The mechanics of the droid include gears and will introduce a child to the science of gear ratio. Because the Techno Gears Dizzy Droid challenges problem solving skills, expands mechanics and engineering knowledge and inspires creativity, it aligns with the Science, Technology, Engineering and Math standards (STEM).For ages 6+ years and available May 2018. 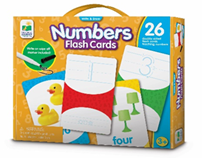 To help children learn hand writing and counting skills, the Write & Erase Flash Cards are handy flash cards that provide skill-building writing and counting practice at just the right level. The double-sided flash card sets feature 26 cards and a write on/wipe off marker. The cards feature real images that offer a fun way for kids to practice and learn beginning skills that will get them ready for school! For ages 3+ and is available now. The Learning Journey is introducing a new line of puzzles that are 5 feet long or 5 feet tall! The Long & Tall Puzzle series features durable cardboard pieces that are large for little hands. The 123 Rocket Ship puzzle features numbers and as you build the rocket you will find objects to count that correspond to the numbers they are near. The other puzzle in this new series is the ABC Caterpillar puzzle where kids will “inch” their way through learning the alphabet as they complete this colorful puzzle. 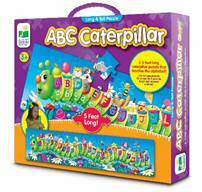 This larger than life caterpillar features letters and objects with the same beginning sound. Both jumbo puzzles have 51 pieces and are appropriate for ages 3+ years.For ages 3+ and is available now. The Learning Journey’s award-winning line of Match it! Games, has two new additions, Match It! Garden Patch and Match It! Crocodile Crunch. With Match It! Garden Patch, kids will be growing their counting and memory skills by playing this action-packed game. By matching the brightly colored garden cards with the number on their board, kids are having fun and developing memory and thinking skills at the same time! Children will be biting at the chance to play Match It! Crocodile Crunch! While playing this fun-filled game, kids will learn about healthy and unhealthy foods. Make a correct match by putting a healthy food in the crocodile’s mouth and an unhealthy choice requires a toothbrush card to brush it away! For ages 3+ and is available now. About The Learning Journey: The Learning Journey is a Phoenix, Arizona company that has been designing and manufacturing an exclusive line of award-winning children’s interactive educational products. 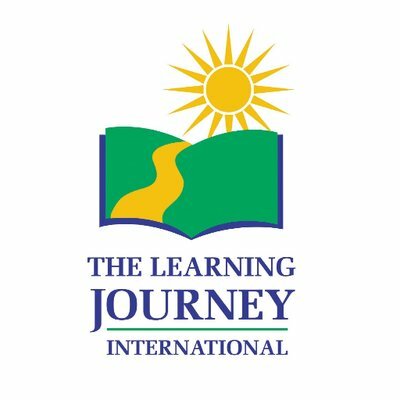 The Learning Journey opened its doors in 1995 with the mission of providing an opportunity to offer every parent affordable, high quality educational materials to ensure a successful start in school for their children. The products they design encourage learning and developing confidence to enhance a child’s potential. Their products build on the skills necessary for children to be prepared for school and beyond. ← Stop Bugging Me! New High-Tech Bug Trap Traps Household Pests With Style!